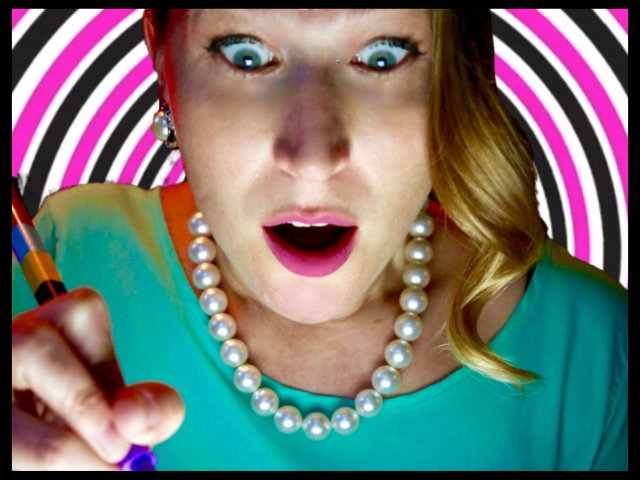 The notion of parallel realities works very entertainingly and in very different ways in two shows at the Minnesota Fringe Festival. Beloved master of camp, Dennis LeFebvre, has written and directed Marvel Ann Theatre’s delightfully kooky Vert-O-Graph, a spoof a nuclear family circa 1962, and the Concrete Drops Duo’s Inescapable is comic timing at its best. Vert-O-Graph’s large vibrant ensemble at Rarig Center Thrust masters stylized movement, bringing to mind effervescent print ads of time—smiling wholesome faces in angular postures—as the characters shift from the suppressive limits of the proverbial “Perfect Household” to another dimension where ease, harmony and fun rule. When the son is given a contraption by his boyfriend, it makes the passage into that realm a reality. Metaphorically, gay love provides the key to happiness for all. Where Vert-O-Graph is stylized comedy with its own physical conceits, Inescapable is naturalistic. Paradoxically, it is played as true to real life, while exuding a supernatural element. Martin Dockery and Jon Paterson play two men in a room alone while a party is happening in another part of the house. Suspicions of one cheating with the wife of the other and competitive comparisons of their income status are complicated by a box on a table that seems to be taking them back and forth in time. Director Vanessa Quesnelle’s impeccable acting duo twists and turns in sharp dialogue by Dockery (also the playwright) that glistens with humorous mystery.